Setsubun is a fun Japanese holiday celebrated on the 3rd February. It marks the last day of Winter and the imminent coming of Spring. While it’s definitely summer where I am this year I thought I’d share some of our previous Sebsubun experiences in this post. There will be celebrations taking place at shrines all across Japan but I particularly love being in the Kyoto or Nara area. There’s so much on around these cities that even with planning out your day and moving around there is just too much to fit into one visit so I definitely want to go back to see some of the events we missed and to return to some old favourites. The other advantage of being in these areas is that the festivities in a few venues, such as at Yasaka Shrine in Kyoto, are scheduled over both the 2nd and 3rd helping you experience a little bit more of the fun. So is it really worth checking out Setsubun celebrations if you’re a foreigner in Japan? I think it is, here are my 10 top reasons why I love Setsubun. 5. Festival food is everywhere! Roasted soybeans called fukumake are traditionally thrown either out the door or at a person wearing an Oni mask, like a demon or ogre. While this is common to do at home, many people also attend events where Mamemake is performed. 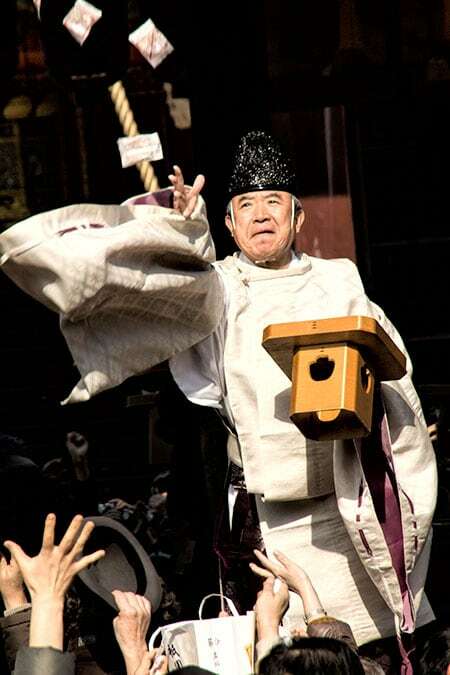 In shrines around Japan mamemake are thrown from the stage by priest and invited guests. 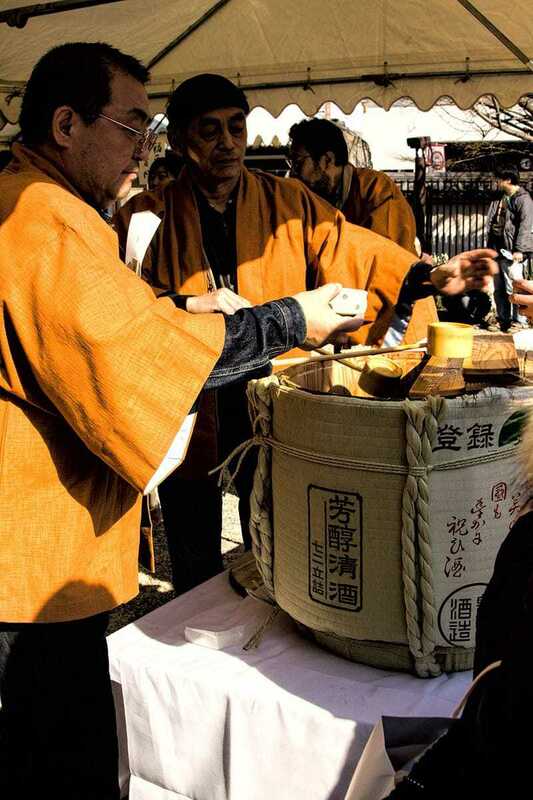 In the photos below from Yasaka Shrine a Kannushi-san (priest) and Miko-san (shrine assistant) throw the beans in small packets. Eho-maki are the fat sushi rolls that are enjoyed on the night of Setsubun. The rolls are filled with 7 different fillings that represent good health, prosperity, good fortune and happiness. Unlike most sushi rolls that are cut into small pieces and sometimes shared, Eho-maki are eaten without cutting while facing towards that years good luck direction. 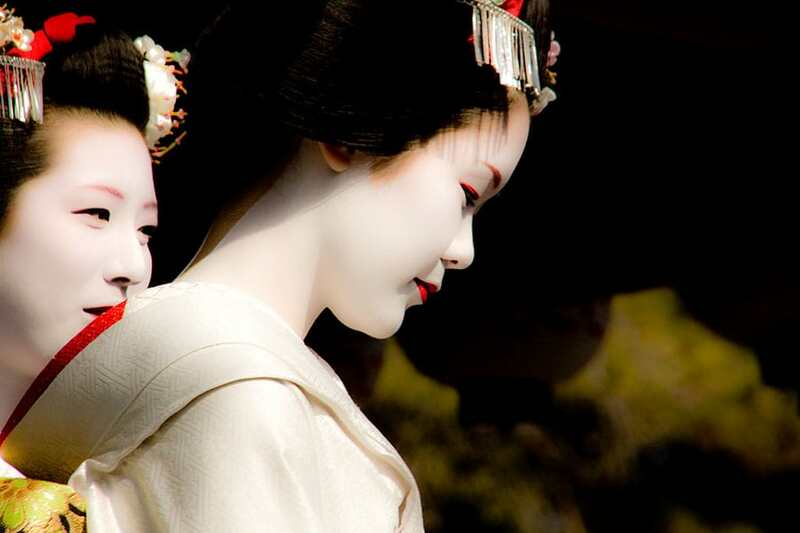 In Kyoto you can attend Yasaka Shrine in Gion where apprentice Geisha called Maiko perform on the stage immediately before the beans are thrown on the 2nd and 3rd February. At other sites in Tokyo you might spot a local celebrity particularly if you follow sumo or J-drama. Sweet sake served from the casks at shrines and temples during special events isn’t to everyone’s taste but it is quite an experience to have tried it in a festive setting at least once. We were offered and tried it at Gango-ji after the bonfires were lit. Having stood down wind from the smoking greenery a drink on my parched throat seemed a good idea. There was a great atmosphere at this temple and I really enjoyed the Buddhist service and the entertainment, they had martial arts, archery, a bonfire and later there was fire walking on the embers. Japan doesn’t really do street food like the rest of Asia but when a festival is on they make an exception. It’s no secret that I love festival food in Japan, from the takoyaki to the candy coated strawberries and a dozen other choices, you really can’t pick wrong. There are only 3 nights of the year when the 3,000+ lanterns of the shrine and park are lit up with candles and it’s quite a sight to see. Setsubun is one of those nights, the other two are in August for the Mantoro of Kasuga. 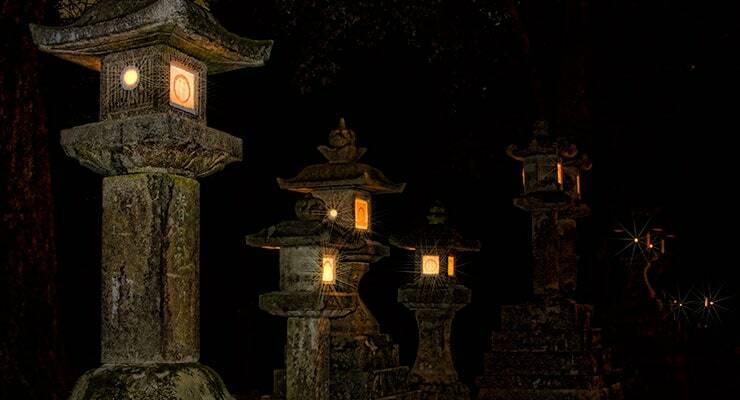 Many venues, mainly temples and shrines are open with entertainment all day and into the night. Almost all of it is free, even those that normally have an entry fee often waive it for the occassion. From memory the only one we went to that had a charge was Katsuga Shrine and that was only for the inner shrine. Not only are these snacks both thrown and available for purchase in shrines and temples during Setsubun but they can be purchased in various shops in the lead up to the holiday. 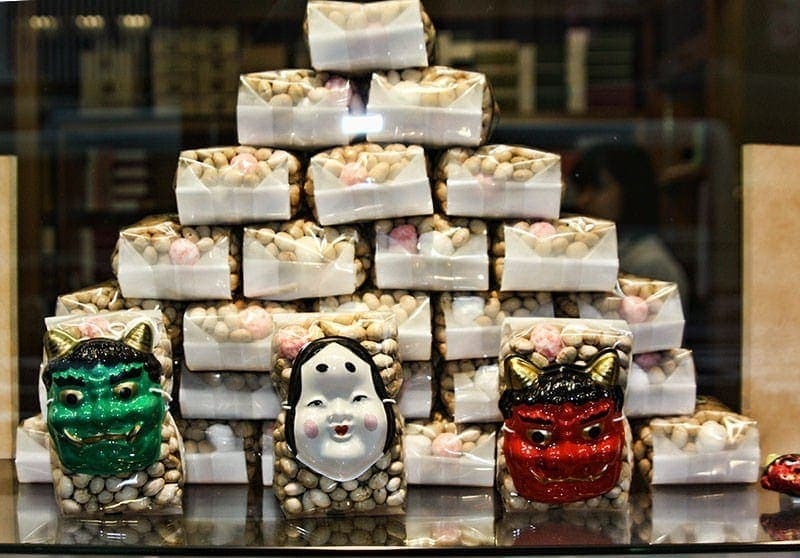 These cute packages were for sale in a traditional sweet shop in Gion, Kyoto. During Setsubun many Dads around the country, will pop on an Oni (ogre) mask and run around the house while the family shout Oni wa soto! Fuku wa uchi (Demons out! Good luck in!) and throw mamemake at them. 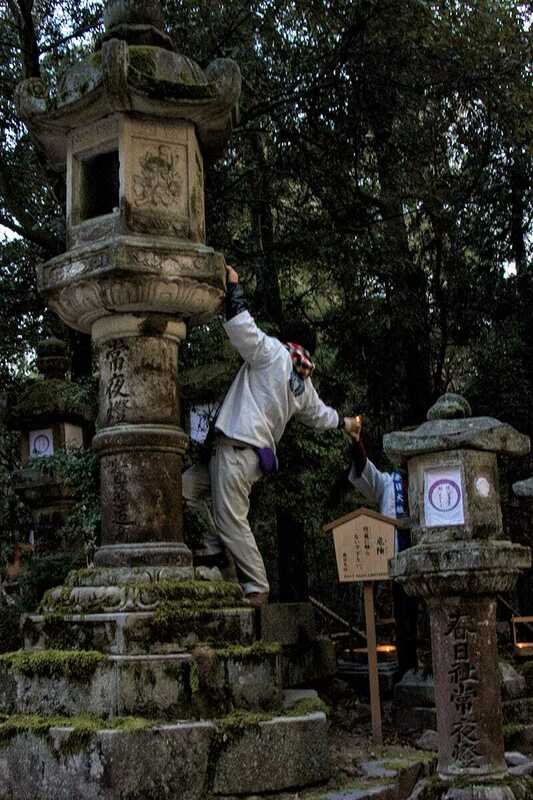 This ritual also takes place with entertainers taking on the role of Oni at shrines and other venues. The start of spring! 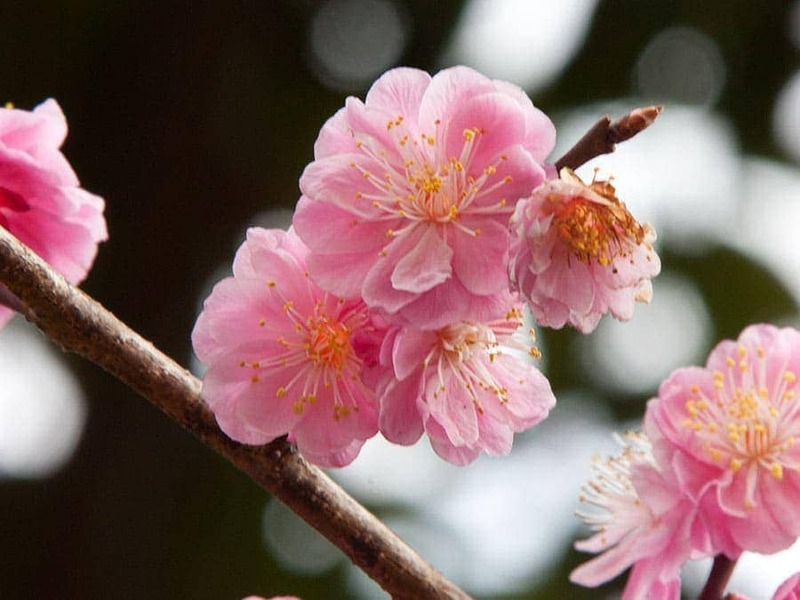 The beautiful ume or apricot blossom are coming, or soon will be, to gardens and parks all around Japan. These early bloomers aren’t as prolific as the better known sakura (cherry blossoms) but they are the more showy of the two and I love them, and the excuse to post up another photo or two. So that’s my 10 great reasons to take part in this festival if you are in Japan in early February. If you get the chance to get along I hope you enjoy it as much as we have. 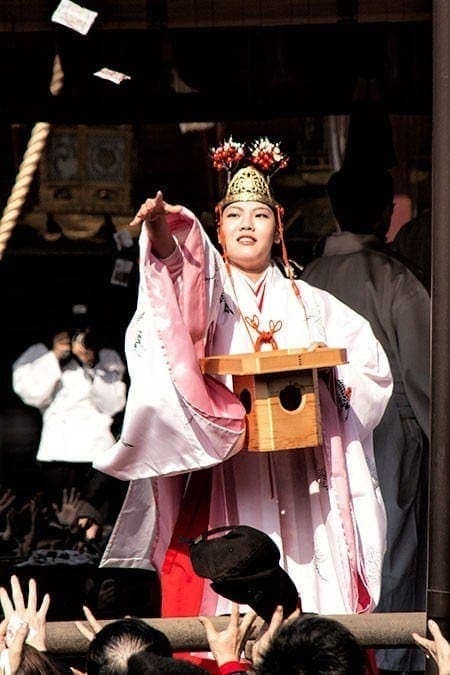 Have you celebrated Setsubun in Japan? What other interesting local festivals you’ve found on your travels or in your home town? I love the enthusiasm that Japanese people show for celebration. Wish we were there!